Awesome post Averill! 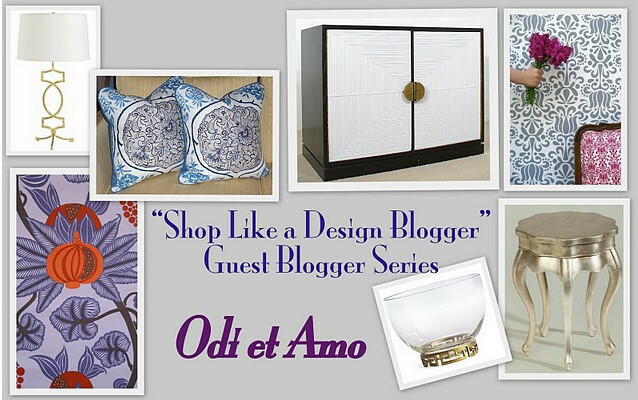 And I'm so excited that you're going to interview other design bloggers for this series - it's going to be one of my favorite posts of the whole week, I'm sure! Did you link up to that dog wallpaper with me in mind? Because, um, I LOVE IT! I WANT IT! I HAVE TO HAVE IT! Unfortunately, I have nowhere to put it right now so I just have to hope and pray they sell it whenever we move into our next home and I am able to use it!!! I like this idea. Thanks for all the great resources. I like to find unique items for my home that you don't see in every store. Wow, Avid Home's selection of sunburst mirrors is great! This is a great series and I can't wait to read the other bloggers' selections (and share my own later on as well). Beautiful images from your own home, Averill. And I must say you've set the bar quite high! Looking forward to seeing where the others send us. Great post and terrific selection of resources Averill. Loving this series!! :) Great way to start it off with a bang! I'm sure you have posted about these in the past, but it was great to see it all in one place. These are definitely resources that I need and will use. Looking forward to all of the posts in this series. What a great idea for a series! I am always looking for new ideas and sources. Thanks so much for sharing some of your's. Averill fabulous job. Great pics and the last one surprised me. I too have purchased many things from TS & Co., including my dining room buffet. 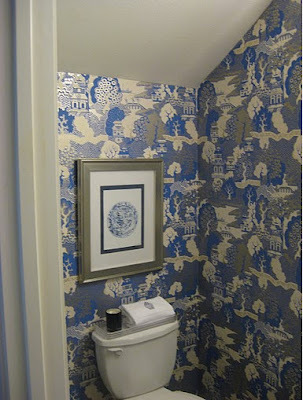 I so agree about Benjamin Moore paint and definitely, the Brit's do wallpaper better. Looking forward to next Thursday. Love your recs!!! And sooo true about the wallpaper! Such a great list! Love WSH, OKL & O&L too. Looking forward to following the series. 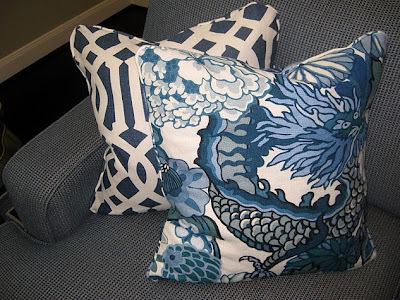 Fantastic selection, I love the pattern on those cushions! I just came across your blog today--what a great post! I didn't know about Avid Home, but now I think I want every single table lamp they sell. Also, your purple wall is absolutely fantastic. I'm looking forward to reading future posts! Wonderful round up of sources and descriptions of why you like them! Thursdays are looking so good!!! Love this idea for a series! I'm always on the lookout for new resources. I'll definitely be following! Thanks again! Oh Averill, I love the idea! It's just like chatting with the best friend who happens to be in the same field as I!!! Can't wait to see what's coming on Thursdays! What a great idea! Thanks for sharing all of the wonderful the resources. what a great series! love it woman. thanks for sharing your faves. Love hearing about your resources! Amazing! Great idea! Thanks for sharing all these resources, love posts like this. (In love with that purple room...would love to see more) Can't wait for Holly's picks! Great series. I love it! 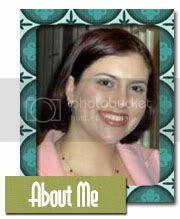 I'm going to include this post in my Sunday roundup at www.TheDesignFile.net. Can't wait to see the others. Great list! So excited to be part of this series. Great post! Already in love with this series! You've made a great start to this fun series. Hey what a great post! I didn't know about Avid Home, but now I think I want every single table lamp they sell. Also, your purple wall is absolutely fantastic. I'm looking forward to reading future posts! I am hard at work on my post - I took a photo at one of the places this week, and had three customers ask me what I was doing! My slant will be somewhat different than yours, but that is what makes this series so great! Awesome series and great picks! I am staying tuned. Excellent post, and I'm really excited about the series. Thanks for all the resources, and I just love your style. Mod Green Pod is so cool! All of their stuff is green,eco-friendly..they're Austin based.